Munn's is an official GIA certified retailer. All of our staff are credentialed through the GIA education and training program. We choose to adhere to the standards of the GIA, widely considered the premier gemological grading organization in the world. 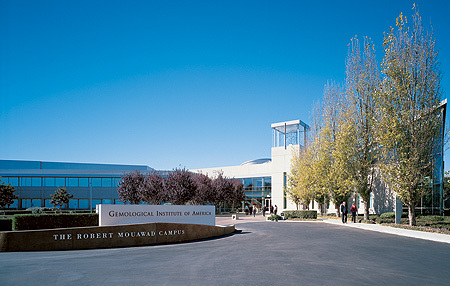 Established in 1931, GIA is the world’s largest and most respected nonprofit institute of gemological research and learning. Internationally, the Institute has distinguished itself as the preeminent source of gemological knowledge and professionalism. The GIA Diamond Grading Report and the GIA Diamond Dossier® are considered to be the world's premier credentials of diamond quality. Many retailers provide diamond certification, however no report is as unbiased and complete as a GIA diamond grading report. Diamonds of all shapes and sizes are sent to the Institute from every corner of the globe for diamond grading and analysis.